Stijn is Senior Advisor of Drewry’s Supply Chain Advisory team. Before joining Drewry in 2014, he had 15 years’ experience in shipping and logistics, ranging from break-bulk and chartering as a third party agent to controlling the European inland operations for a major container line. Stijn joined Drewry in 2014 with 15 years’ experience in shipping and logistics, ranging from advisory projects, break-bulk and chartering as a third party agent to controlling the European inland operations for a major container line. 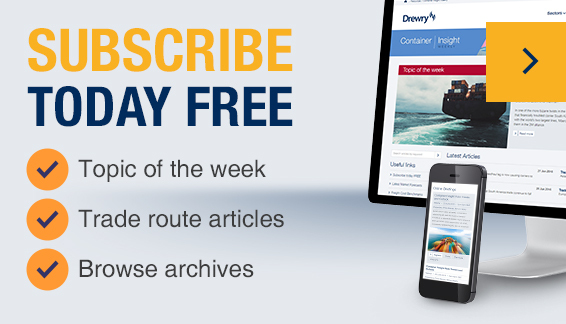 At Drewry, Stijn has looked after and expanded the scope of some of the spot freight rate research products and contributed to several projects through both desk based research as well as field trips in Europe, the Middle East and Africa. He is a regular speaker at international conferences and brings distinctive insight into freight rate trends, inland supply chain processes, hinterland strategies and multimodal transport solutions. Stijn holds an M. Sc. in Transport Economics and an executive MBA in general management from the University of Antwerp Management School.